Candy and Halloween go together like, well, candy and Halloween. Whether you like getting the butternuts startled out of you at haunted houses or by watching scary movies when the moon is full and you can just imagine the delicious terror of seeing Frankstein’s monster lumber around the corner, you’re probably also just as excited for the candy avalanche that ensues every All Hallow’s Eve. Either way, artist Eric Millikin has got you covered. 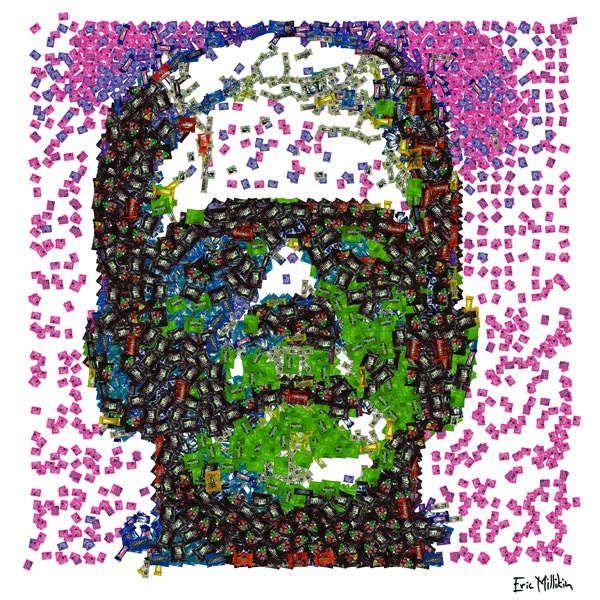 The Detroit Free Press staffer is showing just how tasty monsters can be when they’re made entirely of candy, with popular characters like Frankenstein’s monster as seen below, and a host of others. Millikin was kind enough to give Consumerist permission to share a few of his creepy/tasty creations as seen below, and you can check out his blog (where you can zoom in for close-ups of the candy used in each portrait) for more or to request your favorite monster’s sweet portrait. Millikin isn’t about pleasing this new generation of vampire/supernatural fans — in other words, someone else can do Edward Cullen. 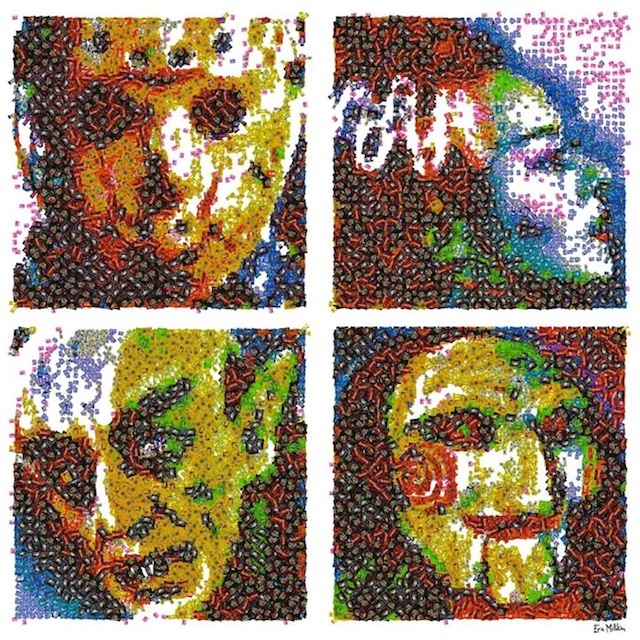 From upper left, clockwise: Jason Vorhees of Friday the 13th, the Bride of Frankenstein, Jigsaw’s puppet “Billy” from the Saw movies and Nosferatu.